I saw something while out racing yesterday that made me smile. The venue was Landsdowne Park in Sydney’s south west, a purpose-built criterium circuit that I’ve always been rather fond of. The hosts of yesterday’s race, Waratahs Masters Cycling Club, have been criticised at this same venue in the past due, somewhat ironically, to their ability to draw such large fields compared to many other Sydney clubs. Talk about being victims of your own success. Chalk it up as a great safety initiative. Jokes aside, given the reasonably technical nature of Landsdowne, a course I’ve raced on a lot in the last few years, racing can get a little sketchy in places when field sizes swell. Two or three bends on the undulating 2km loop, in particular, tend to cause the majority of the grief and health insurance claims. So I was delighted to see one of the Waratahs Commissaires walking the course yesterday morning, chalk in hand, marking out cornering lines. At first glimpse, I actually thought a group of bored teenagers had been out tagging the road overnight. But, no, it was actually an excellent safety innovation; one the Waratahs should be highly commended for implementing. Now obviously a few chalk marks on a road won’t stop all racing accidents, especially on congested final laps where many riders are in severe oxygen debt and not thinking all that clearly. But credit where it’s due. The lines did provide a visible marker to the riders, a gentle reminder of where there is – and probably isn’t – enough room for passing. Great idea. 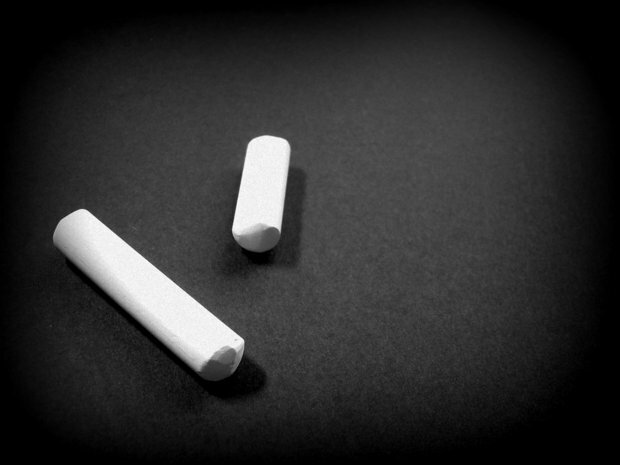 Probably my only criticism is that under the stampede of 23mm rubber, the chalk rubbed off quite quickly. Maybe the local Council can be encouraged to mark the lines permanently on the known danger spots as part of its duty of care to all who use the circuit? It works on the track, why not the road? As is often the case, it’s such a simple and inexpensive idea. 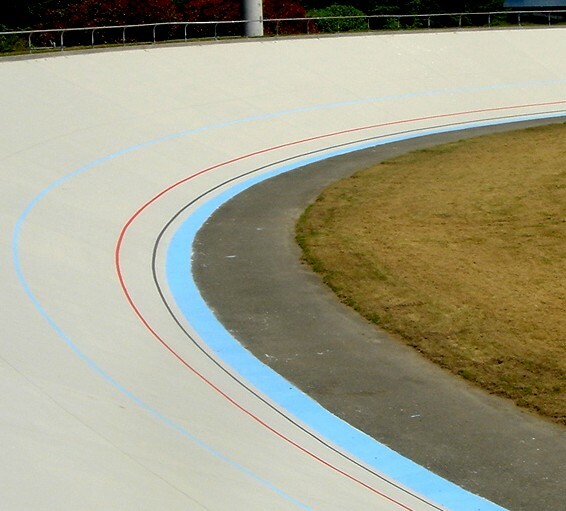 Line markings have been used on velodromes for years, with clearly marked lanes defining where you can and can’t ride in the heat of battle. Why shouldn’t criterium circuits, particularly frequently used ones, be the same? Sadly not, that would cost a little more I reckon. That’s good to hear Pete. Something similar occurred on the road at Calga on the weekend. I am not quite sure if it was the Council (preparing for maintenance) or the Central Coast Cycling Club, but a lot of the bad pot holes had fluorescent paint circling them? Hope it catches on and keeps up.